Horse print: grit, creativity and originality in a print created by Yago Partal for Evermade. It will catch everyone’s attention and will bring happiness to your home. Through a simple gesture you can change the aspect of your walls. This Horse print by Evermade is ironic, surreal, unique: it belongs to Yago Partal’s Zoo Portraits collection and represent a horse acting as a human being. 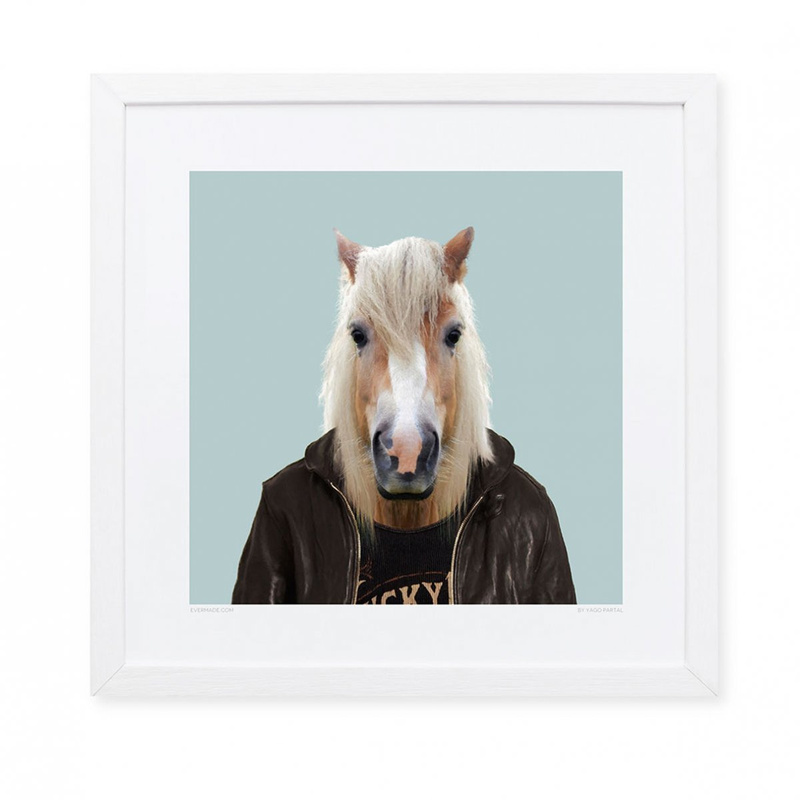 Refined blonde mane and elegant white snout, this print is made of high quality materials (paper weight: 240 gsm) and shows a horse dressed with a leather jacket, thing that makes it dynamic and aggressive like a real biker. A bit human and wild, you can hang this print on whatever wall of your home, bringing creativity to your spaces. Perfect for the living room or the bedroom, it welcomes your guests with style if placed at the entrance or along the corridor. 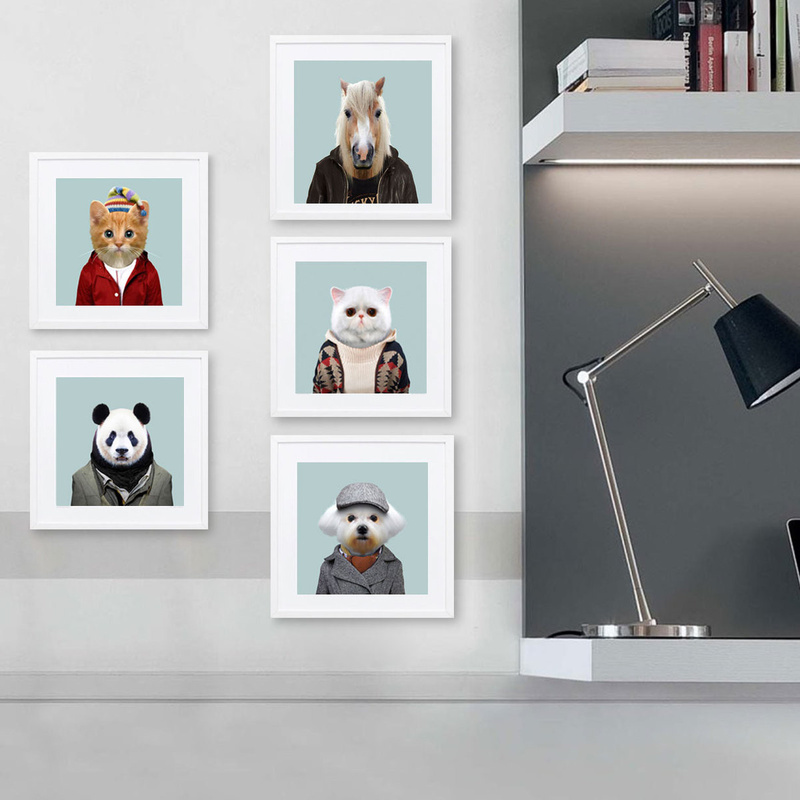 Alone or together with the other prints of the same collection, this Horse print by Evermade is also ideal as a special gift to be given to friends or relatives, to surprise them with something unusual and different from common presents, with great stylistic value. Hang it on walls of shops, boutiques, pubs or offices, and it will welcome you and your clients everyday, with irony and serenity. The squared shape of the item makes it suitable for spaces of any size, while its brown shades are ideal for enhancing sober furnishings of whatever colour.